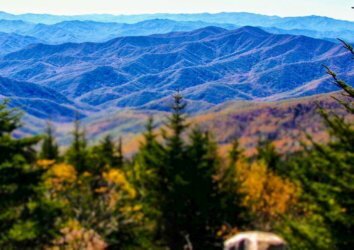 The mercury is starting to plummet, but that doesn’t mean that you can’t still have a wonderfully wintry trip to the Smoky Mountains. 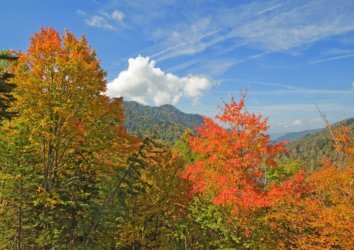 In fact, with its less-crowded attractions to sparkling, snowy hikes, the early winter season is one of our favorite times to visit the Smokies. 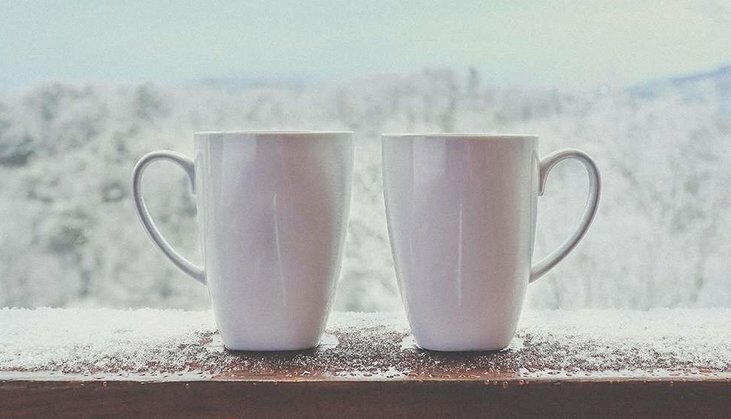 Here are a few of our favorite ways to beat cabin fever when the temperatures drop. 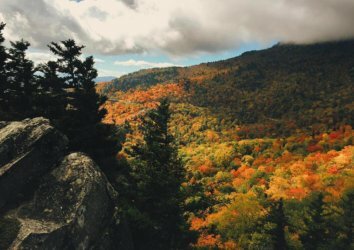 Enjoy breathtaking 180-degree mountain views with a side of adrenaline when you take a ride up the aerial tramway to Ober Gatlinburg. Feeling bold? Brave the fresh air in the scenic chairlift which runs year-round and also provides stunning views of the mountain terrain. 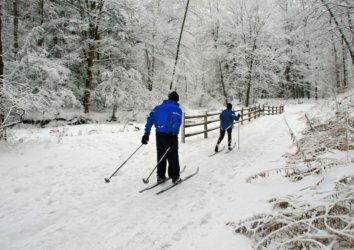 Skiing is a must-do on your family’s winter todo list. 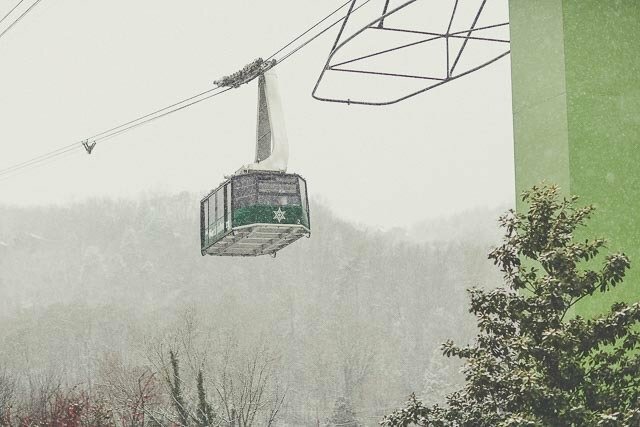 Ober Gatlinburg offers modern ski slopes with a side of vintage 1970s kitsch. Afraid that a seasonably warm day will ruin your ski dreams? Don’t worry, Ober Gatlinburg is fully equipped with snowmaking machines, meaning there’s always plenty of fresh powder. Check their website in advance to make sure the slopes are operational before you visit. Not a skier? The resort’s new Ski Mountain Coaster offers another way to get your daily fill of heart-pumping winter thrills. 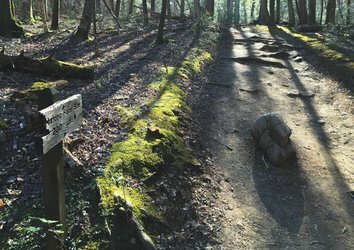 What starts with a peaceful 1,000 foot ride through the Smokies ends with 2,750 exhilarating feet of dips and zigzags through the snow. Snow tubing is another excellent alternative for families with kids, who are sure to delight in the 300-foot ride to the bottom of the mountain. 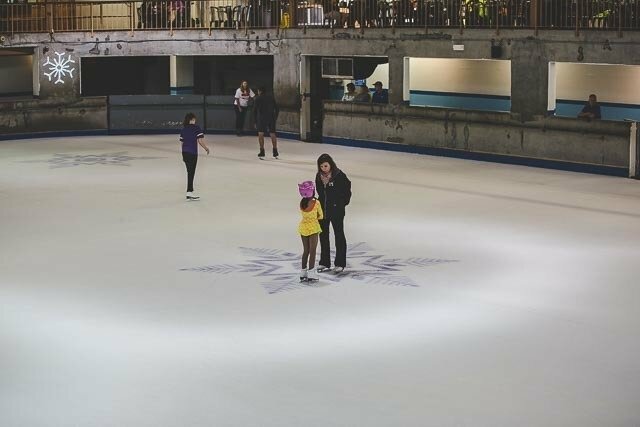 If Mother Nature demands an indoor activity, there’s a skating rink full of fun to be had at Ober Gatlinburg’s indoor facility, where you’ll find families as well as hand-holding sweethearts moseying their way around the rink. If you buy one of their wrist band options, you can also take advantage of other activities like the alpine slide, scenic chairlift, carousel, and Kiddie Land. 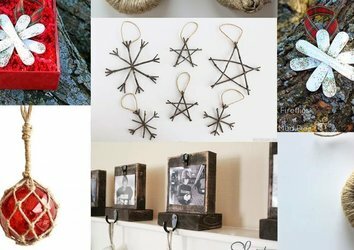 Check holiday shopping off your list on the eight-mile craft loop that runs through the Great Smoky Arts and Crafts Community where local artisans celebrate the area’s rich history with handcrafted items like folk art, baskets, candles, brooms, photographs, and much more. 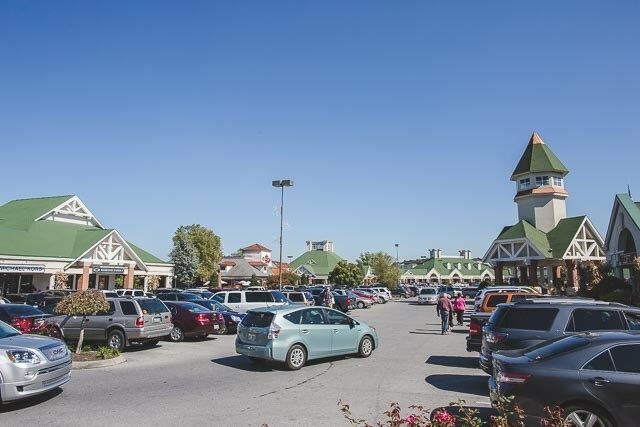 After that, hit Tanger Outlets in Sevierville for stores like Michael Kors and Gymboree. Gifts for the family? Check. A little something for yourself? Check. 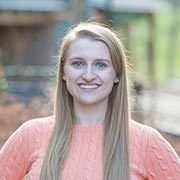 Yes, the Smoky Mountains are full of natural wonder, but its surrounding areas also offer plentiful options for hitting the town when it’s too arctic for outdoor activities. One of our favorites? Catching a show in Gatlinburg or Pigeon Forge. We love the Guy Michaels Comedy Hypnosis Show in the intimate Iris Theater where your fellow audience members (or you!) will get hypnotized to hilarious results. 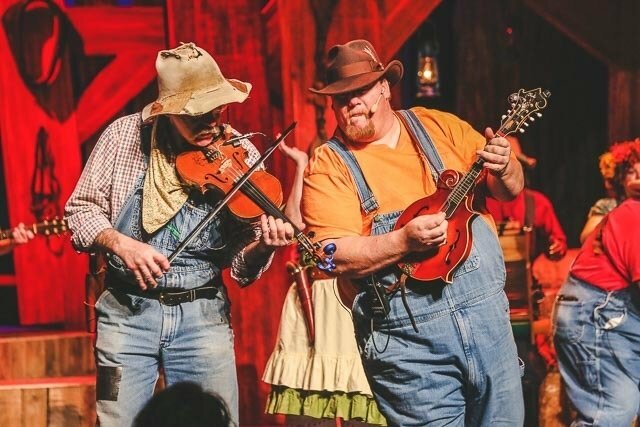 The Hatfield & McCoy Dinner Show is good for a serving of silly dance numbers and corny jokes to go with your corn on the cob.